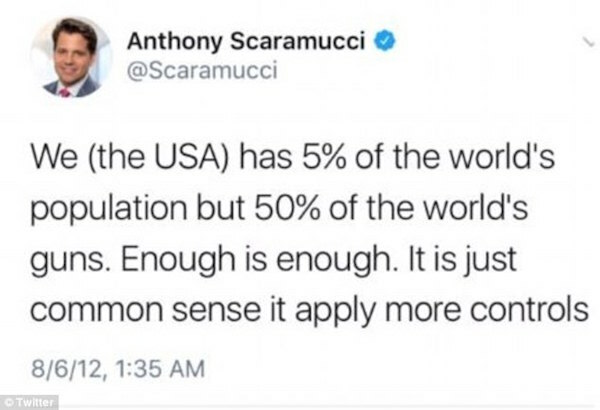 Donald Trump’s new communications chief has deleted tweets in which he shared views contrary to the US president’s own, saying they were a distraction. 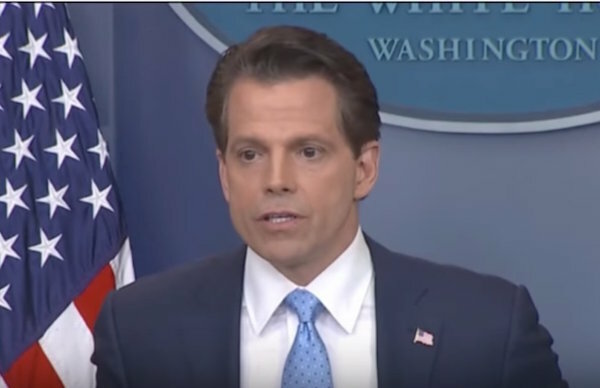 The day after he started his new job Friday, Anthony Scaramucci, a New York financier, cleared up his Twitter trail of remarks in which he differs from Trump on illegal immigration, climate change, Islam and even gun control. “Full transparency: I’m deleting old tweets. Past views evolved & shouldn’t be a distraction. I serve @POTUS agenda & that’s all that matters,” the new man on the White House job announced on Twitter. In a February 2012 proclamation he calls President Trump an ‘odd guy’ who is ‘so smart with no judgment’. When he took the podium on Friday to address reporters in regard to his new role with the White House, he praised President’s character. 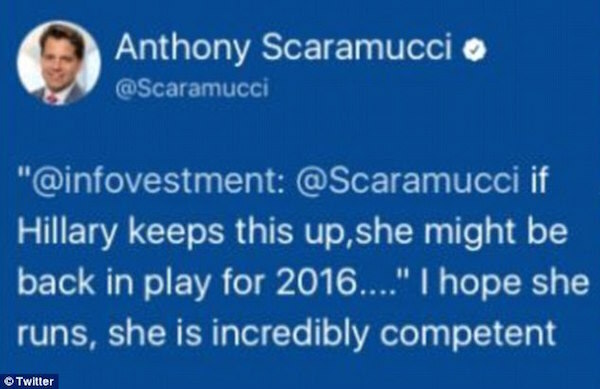 ‘I love the president and I’m very very loyal to the president,’ Scaramucci said. ‘I don’t see this guy as a guy that is ever under siege. This is a very, very competitive person. obviously there’s a lot of incoming that’s coming into the White House. but the president’s a winner,’ he said. White House press secretary Sean Spicer abruptly resigned Friday in protest at Scaramucci’s hiring. In a written statement, Trump said he was “grateful” for Spicer’s work and praised his “great television ratings” — a reference to Spicer’s keenly watched, combative and often-satirized news briefings. Spicer’s departure marked rising tensions in an administration that has seen its legislative agenda falter at the same time it has been buffeted by an investigation into alleged collusion with Russia.